If you were looking for the #1 criticism of the Moto 360, it would without a doubt be the “flat tire” that sits at the bottom of its screen. The “flat tire” of course, is in reference to the black area at the bottom of the watch’s face that hosts display sensors, which allow it to auto-adjust brightness. 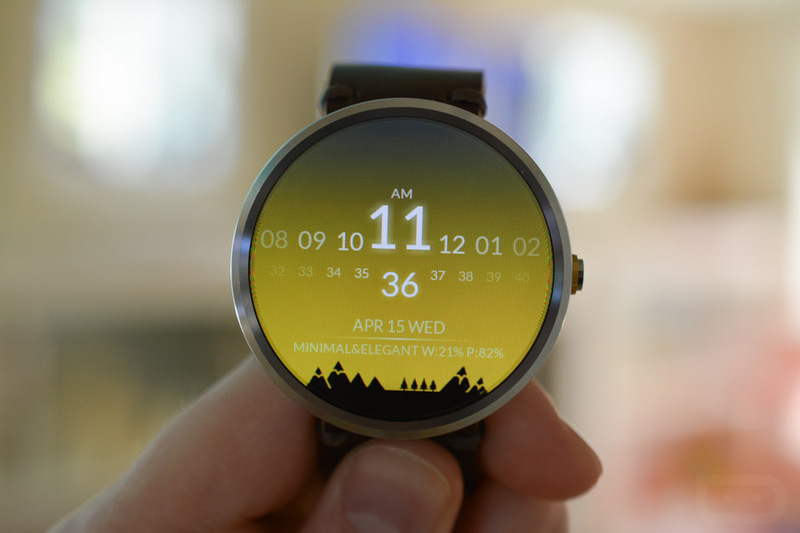 Motorola chose to include this area, because they wanted to make a watch that had as little bezel as possible. If they didn’t go this route, they would have created something similar to the king of bulk and bezels, aka the LG G Watch R. Sure, the watch would have had a fully rounded display, but again, it wouldn’t look as nice as it does. Still, some can’t “unsee” the flat tire. 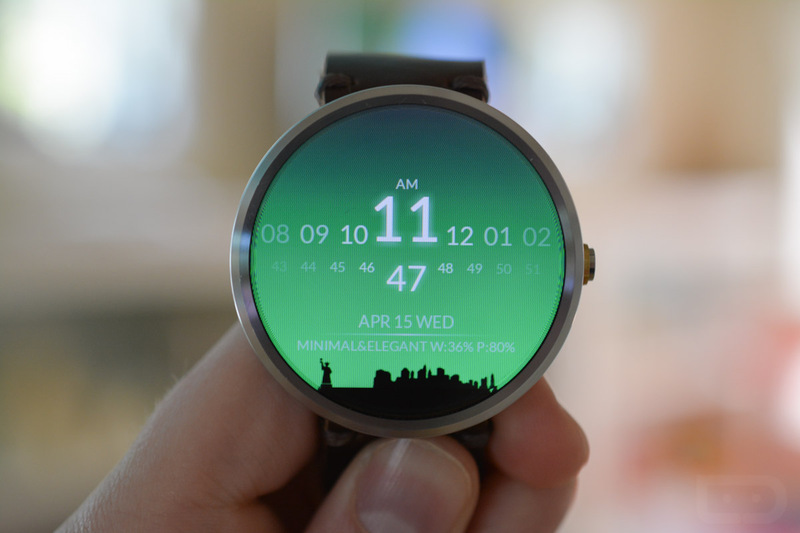 If you are in that boat, then might I suggest you check out a watch face app called, well, Watch Face. 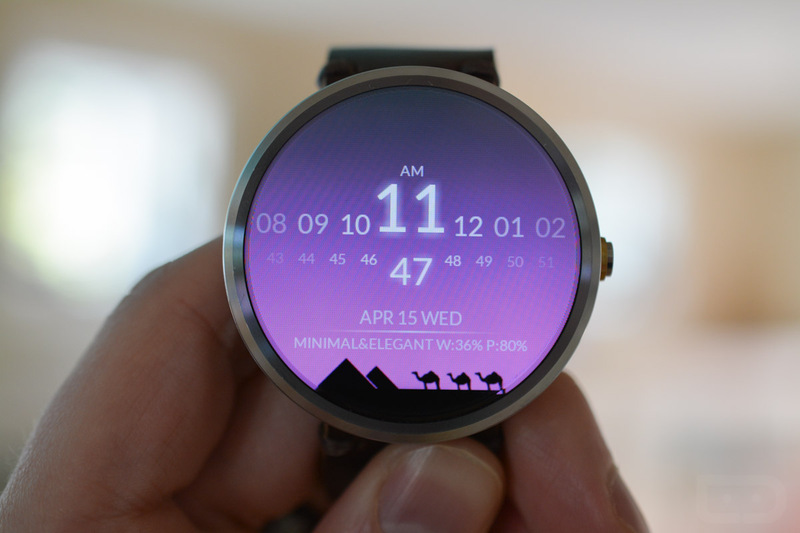 The full name of the app is actually “Watch Face – Minimal & Elegant,” but we are pointing it out today because it was recently updated to include a new featured called Little Worlds that aims to put to use that flat tire area. The rest of the watch face app is filled with additional settings from color changes to gradient adjustments and font or glowing effects. You have to like the style of it, though, which includes a scrolling hour and minute time, as that layout is the constant here. If you don’t mind the layout, then I think you will really enjoy all of the different items you can tweak here, including this new Little Worlds section. To set it up, you’ll have to first install the app. Once you have done that, enter your Android Wear app, open the watch faces area, and look for “Minimal & Elegant.” Once you have tapped on it twice to enter the app’s settings, you’ll find all of the options located under grey panels. In the Little Worlds section, there are a bunch of pre-loaded options, but there are instructions for loading up additional Worlds that have been created by community members. Take my advice and go check out the community – people are creating all sorts of goodies. Let’s see you do that, Apple Watch.